Infrastructure Australia has appointed its new Chief Executive Officer, replacing Phillip Davies who departed from the organisation in 2018. Romilly Madew has been appointed to the role and has been recognised by the Infrastructure Australia Board as a leader in the property and construction industry. Madew has led the Green Building Council of Australia since 2006 and has experience as a CEO with strategy, governance and policy development. 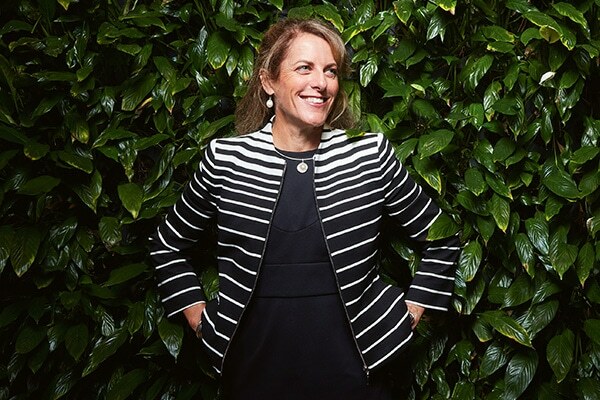 As CEO of the Green Building Council of Australia, she represented more than 650 companies with a collective turnover of $40 billion, and presided over the Green Star rating system that has been used in more than 2250 projects across the country. She has also held Board positions with the Australian Sustainable Built Environment Council, Sydney Olympic Park Authority and has been part of a number of ministerial panels, including the Cities Reference Group, National Urban Policy Forum and the China/Australia Services Sector Forum. Madew has won multiple awards, including the 2015 International Leadership Award from the US Green Building Council and the 2017 World Green Building Council Chairman’s Award. Infrastructure Australia Acting CEO Anna Chau will continue in her role until April 2019, where she will then resume her role as Executive Director of Project Advisory. Infrastructure Australia Chair Julieanne Alroe said the organisation remains focused on developing the evidence base to guide nationally significant infrastructure investment and reform. “Romilly joins Infrastructure Australia at an incredibly important time for our organisation, and we are delighted to have her on board as we prepare to release the Australian Infrastructure Audit in mid-2019 and begin work on the next Australian Infrastructure Plan,” Alroe said. Deputy Prime Minister and Minister for Infrastructure, Transport and Regional Development Michael McCormack welcomed Madew’s appointment by the IA Board, saying it will bolster the agency’s skill and expertise, to assist with the planning and delivery of major, national infrastructure projects. “Ms Madew’s expertise will help to ensure IA can continue to consult with a broad range of stakeholders to provide high quality advice and strategic feedback, to assist the Federal Government and others with making important decisions about major infrastructure investments,” McCormack said.